The Piggery West sleeps up to 3 in 2 bedrooms and with 1 bathroom for maximum guest comfort. All on one level; this Hampshire lodge is a cleverly designed award winning wood panelled eco build, in Hampshire farmland and close to the magnificent grounds of Avington House. The surrounding Itchen Valley countryside is idyllic and at your doorstep, making the perfect rural retreat. Accommodation consists of one flexible double, that can be a twin if needed and a further single bedroom. The large living area allows access to the garden and terrace with BBQ. The Piggery East, sleeping 7; is adjacent and is joined by an interlinked door if needed, which makes it perfect for larger groups of up to 10 guests. 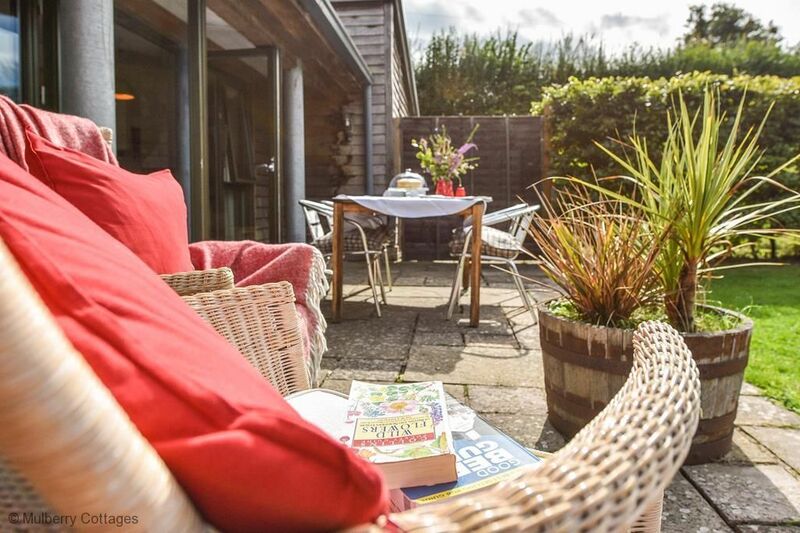 With Hampshire Country pubs a stone's throw away, such as The Bush At Ovington and guest membership to Avington Park Golf Course (that gives you reduced green fees) within walking distance, the Piggery West is perfect for that luxury Hampshire holiday cottage break away from reality. Pets are permitted. A pet fee of £30 is applicable per week, per pet. Please let us know how you would like beds to be configured at the time of booking. It is your responsibility to let us know please to ensure beds are made up correctly. The Bush at Ovington pub is within a 2 mile walk and is a 17th century pub serving great food. Avington Trout fishery is just 200m away and there are lovely footpaths along the beautiful Itchen Valley from your doorstep. Or just a short 20 mile drive away you can visit Paultons Park and Peppa Pig World, great day out for all of the family.